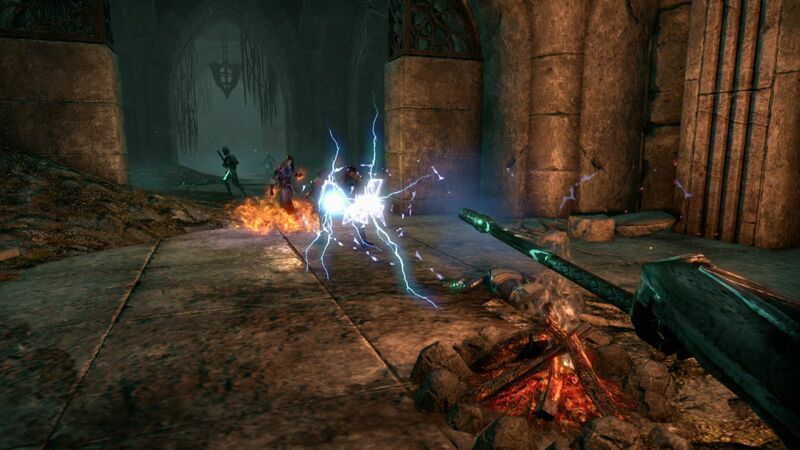 The Frost Staves deals Frost Damage, which changes many of the skills in the Destruction Staff Skill Line. It can be crafted, dropped by boss and can be found in chests. What do you think of the Frost Staves? Do Frost Staves bring you disappointment? Do you think it has the potentials that can excite you? At the present in PvP, a heavy attack from stealth isn't giving you super tiny shield. The tiny shield prevents one critical from a rather squishy build, which is able to buy you time to either finish the kill, or at least prepare your defenses to their counter. With the further damage inferno staves are getting to single target DOTs, that gap is going to keep widening. Will that affect all single target DOTs? Crippling Grasp? Rearming trap? No idea. Gamers hope stop buffing and buffing the damage output of the other staves. There is no long SLOWS, just Minor Maim provided. "Burned" provides more and more dps, along with "Concussed" now with providing Minor Vulnerability which increases the dps by so much for targets. What is the cause of taking away the slow from "Chilled?" There are many ways to remove snares in the first place, along with slows via the use of Rapid Maneuvers, Shuffle, Purge, etc. Please. Make Frost Staves great again (with the status effects), and not just for tanking/blocking. So what potentials do they get to excite? 1. They should be good for PvP, with the ability to survive procs due to the magick pool for a Frost Mage now. The Ancient Magick Passive should be on par with how much the Sword and Shield passive allows you to block, the 36%, up from the 30%, possibly even higher OR have some other unique effect added to outweigh the loss of the 5-5-2. It isn't optimal to be Frost Mage Tank, but it should be viable to have to make a hard decision choosing between magick or stamina tank. 3. It's going to be a whole new game for Frost Mage. What do you think about? Does your experience with Frost Staves disappoint you? Or do you think it owns possibility? Share yours here. Wanna eso gold? Go to our online store eso-gold.com, where is the best place to buy eso gold.